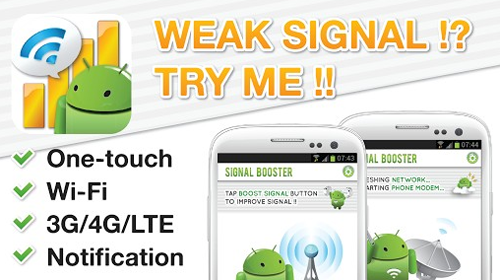 How to Resolve Android weak signal? Sometimes you like a freak with spinning while lifting and holding hand android phone because the signal is weak. Surely you do not want to do it every day. Then please refer to the following article . 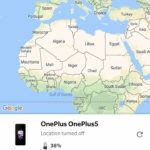 You as a user of android based phones definitely have a certain satisfaction because your smart phone is very supportive in exploring the virtual world. To support these advantages always provide wifi phone and data networks. The problem you are people who are in some area, where the wifi signal is not as much as when you visit in foreign countries that have technological advances. And the most suitable is to use the data network can be penetrated anywhere as long as they provide services provider. To overcome android signal is weak, there are some applications that you can download and install to your android amplifies the signal. When you download the application, direct your mobile phone to search for signals telephone and data networks for their daily needs. This application is also pushing to boost speed data network. Just like Fresh Network Booster , this application will help seek cellular signal becomes stronger. From both applications over cellular networks serve to connect the well to the tower base stations that are around you . For those of you who frequently use Wi – Fi at work and public places, WiFi Booster Easy Connect can help amplify Wi-Fi signals that will add speed data network to access the internet. In operation, the application is consuming too much memory space as belonging smartphone lightweight application. This application will show the radar, arrows and a map, the location of the nearest BTS towers around your location. This application is able to track the presence of BTS towers. So it will be easier for you to find the right location to get a strong signal. The latter is a special application that keeps track of the best location for a Wi-Fi network. This application provides a picture of all the existing wireless network and operational adan operating range. Of this function that helps you determine the best Wi – Fi. Previous Previous post: What’s the Best PC Tablet in 2014?